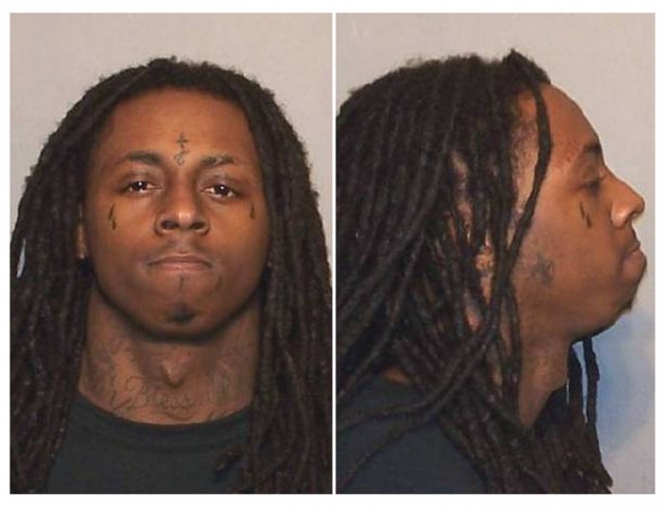 The rapper Lil Wayne (real name: Dwayne Carter) was arrested in January 2008 on drug charges in Arizona. The 25-year-old performer was nabbed in Yuma County on felony possession counts and booked into the local lockup, where the above mug shot was snapped. Submitted by mongoloteles on Mon, 2011-01-17 17:15. So what else could be expected from a Drecksneger? Submitted by captgrumpy on Sat, 2010-11-06 22:37.
you can tell by the jutting jaw that this guy is a Neanderthal. Submitted by GeorgeDubyaBush on Mon, 2011-05-09 22:18. I digress, sir. Due to the lack of a chin, I would presume that this creature is not as evolved as a Neanderthal. Submitted by mariska_babyy on Mon, 2010-10-04 09:38. Submitted by kheywood on Fri, 2010-09-24 15:23.
will he ever learn? do any celebrities? Submitted by The Dark Truth on Wed, 2010-08-25 13:02. Submitted by antiz on Mon, 2011-02-07 19:18. Yeah of roughening music as we know it, and turning our youth into mindless thugs.